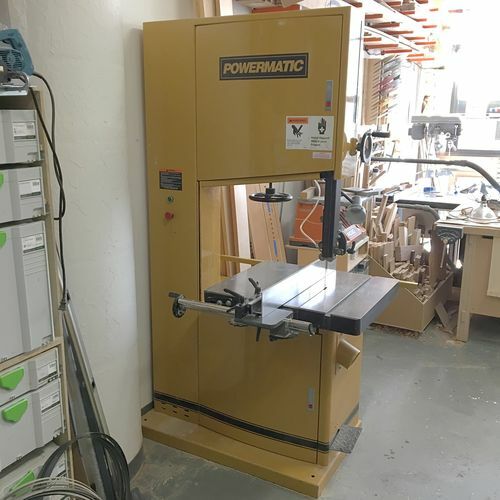 Powermatic 24” Bandsaw for sale. 3hp, 230v single phase motor. Includes upgraded Laguna Driftmaster fence, which has micro-adjust. Brand new tires just installed, replaced some bearings and gears so it’s in great working order. Reason for sale is I’m moving to a smaller shop and don’t have the room for such a large machine. Bandsaw cost $5000 new, another $400 for the fence. Selling for $2800. might help if you put what you want for it. I’d jump on that in a minute if your weren’t on the other side of the country.